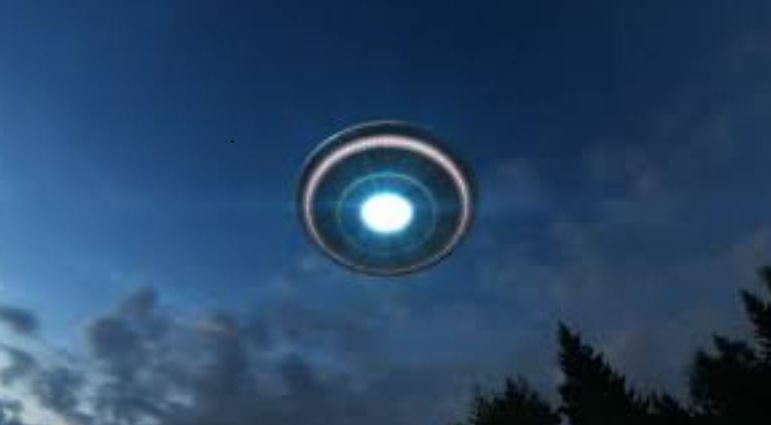 On 25th April in San Jose, two scientists were driving to their place of employment (a private unnamed company) when they witnessed a strange object traveling through sunlit skies overhead. The time was a little after 11 am when biochemist “Dr. W.” and bacteriologist, “Dr. Y.” were driving along the road. They continued to follow the strange aerial anomaly until they arrived at their company car park. There, they would exit their vehicle and take a closer look. Over the road from their location, directly over the building that resided there, was a “small metallic-looking silver disc”. It was at a tilt of approximately 20 degrees and was rotating. One of the witnesses would later describe it as “like the motion of a disc in a water meter”. They would estimate the width of the disc to have been between four and five feet. Neither of them could hear any particular sound from the object, certainly not what you would associate with conventional aircraft of the time. They also noticed no sign of exhaust or any other type of fuel emission. Suddenly it would burst into motion again. It would move through the late-morning sky in an arc-like motion. When it was over the railroad, it turned in the air and moving around ten miles per hour, it would head in their direction. 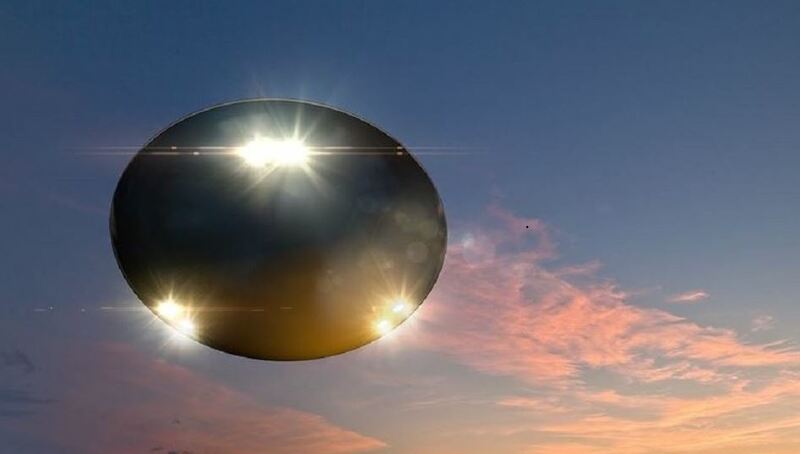 It was then that both witnesses noticed a much larger black object, much higher above at around an altitude of 10,000 feet. They would estimate it to be at least 100 feet across and simply hovered silently with a strange authority. Moments later, two identical large black round objects appeared as if out of nowhere. With their attention momentarily on the much larger discs above, the two doctors noticed the smaller, silver disc was now much closer. It was still approaching, and still at its calm, leisurely pace. Then it stopped moving and spinning at the same time. It remained still for a second or two before moving off at a much faster pace, climbing higher as it did in the direction of Mount Hamilton. In sympathy with it, one of the large black objects moved away in the same direction. The two men remained where they were next to their parked car. The two black objects continued hovering before one of them set out towards the north and the other shot directly upward disappearing into the waiting cloud in the upper reaches of the atmosphere. The men checked their watches. It was 11:15 am – only fifteen minutes had passed by. Each would quickly make their way to their respective offices to immediately dictate accounts to their secretaries. Dr. W originally planned to make an official report to the nearby Moffett Field air base. However, while waiting on the line, he suddenly had visions of public ridicule from his colleagues. He hung up the phone. 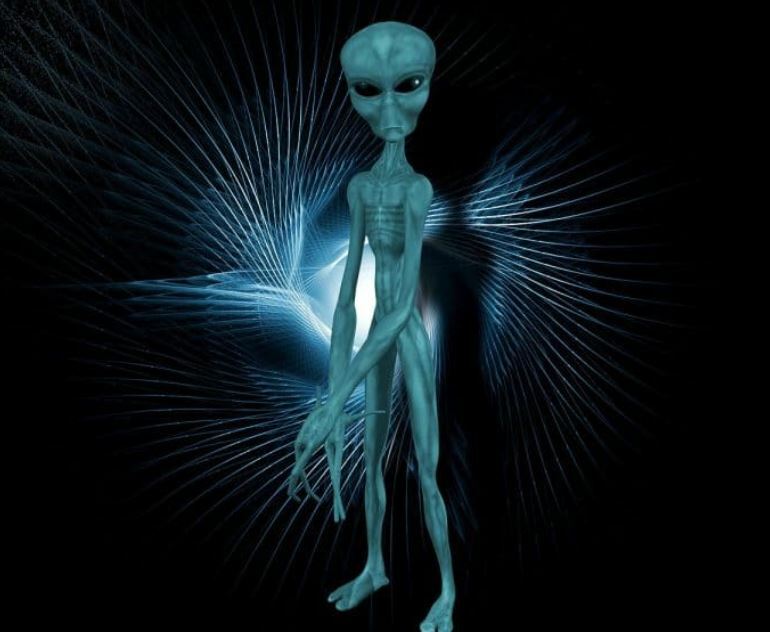 Although they wouldn’t make official reports, they would speak privately and under anonymity with UFO researcher James MacDonald. The sighting, by two respected professionals no less, is certainly intriguing. And is one that would be replicated several times in sunny California over the next several weeks. NOTE: The above image is CGI. Returning from an evening out, a young Sailor and his date encountered something that would change both their lives. It was March of 1956, Santa Monica, California. The couple was driving down the coast highway in Santa Monica to return to his stationed Port Hueneme Naval Base when they noticed two young boys on the side of the road, both dressed in proper Naval Uniform. Concerned, as the hitchhikers appeared to be very young, (the witness guessed their age of 14 years or younger) the couple pulled over and offered the boys a ride. While driving, the witness asked the young sailors where they were headed. The boys responded that they were on their way to the Coos Head Naval Base in Charleston, Oregon. At this point, the witness became confused, because he had never heard of the Naval Base, but decided upon no further questions. When they arrived at a turn off, the witness stated that his young passengers exited the vehicle and were wished a safe journey. Continuing their return to Port, the couple noticed they were drawing near a large sphere of light hovering close to the center of the road. The sphere was white, and the witness estimated it to be 11 to 30 feet in size. As intense as this light was, the witness stated that it did not hurt his eyes to stare directly at it on approach. As the couple advanced towards the location of this unknown light directly in their path, the sphere simply disappeared stunning both of them. The witness recalls that as soon as they drove through the previous location of the sphere, they experienced “a bone chilling iciness that passed through [their] bodies.” Unsettled by the feeling, the witness looked into his review mirror and in shock noticed that the sphere was now behind the vehicle and appeared to be following them as they drove. At this point, his date was horrified and collapsed to the floor boards of the vehicle screaming. Equally terrified, the witness remained driving forward watching this unknown pursuer in the mirror. As the couple raced through a small gully in the road, they noticed that the unknown light seemed to remain stationary there. Looking ahead the witness realized that they weren’t the only ones in danger as there was an oncoming car. Without thought the witness frantically signaled the oncoming driver to pull over flashing his headlights, causing the car to pull off of the road. With the oncoming car now pulled over the witness explained that this vehicle was a taxi and as they slowly drove by the car, light illuminated the entire scene and to his shock, the driver appeared relaxed, with his white shirt, resting his arm out the window staring straight ahead, with no inclination of what was happening. At this point, the confused witness continued down the road, with the sphere of light right behind them once again. He stated that he started to notice the light becoming smaller and lagging behind the vehicle as he drove. In the distance, the witness could see the lights of the oncoming town, internally he thought to himself that if he could just reach the street lights, he and his date would be safe. Finally reaching the town the witness noted that the sphere of light abruptly stopped short of the lamps and after hovering for a moment, ascended straight up into the sky at a 45 degree angle. Shaken by the situation, the witness found the first available phone booth and called the police. After telling them of the recent events, they sent a patrol officer who, with the couple, retraced the steps of the evening. When the officer phoned dispatch to contact the taxi company involved earlier, he did find that there was a driver in the vicinity at that time, though, shockingly, the driver stated that nothing odd happened that evening and had no recollection of being driven off of the road or any knowledge of the event, leaving the young Sailor and his date dumbfounded. The witness even reported the incident to his superior officers, who in turn filed a report. Slightly over a year after the event, incidentally, the witness was given orders to report to the Coos Head Naval Facility. Remembering the young boys of that horrifying evening a year earlier, became all too frightening when he arrived at the base, and realized that it was not yet ready for occupancy and he had to stay in a local hotel in Coos Bay, until the construction of the base was completed. Who did our witness pick up in the car that night? Two young boys heading to a facility that wasn’t yet in operation? This witness continued to have strange occurrences throughout his life, stemming from the close encounter that frightful March night. Even today he still tries to find answers. NOTE: The above image is CGI.